Don’t wait to find out after your dumpster rental is in your front driveway or full of your debris that you have $50 or more in hidden fees to pay to the other guys. We promise you a flat rate for a 5 day rental w/ NO HIDDEN FEES! FREE estimate, or book online today! 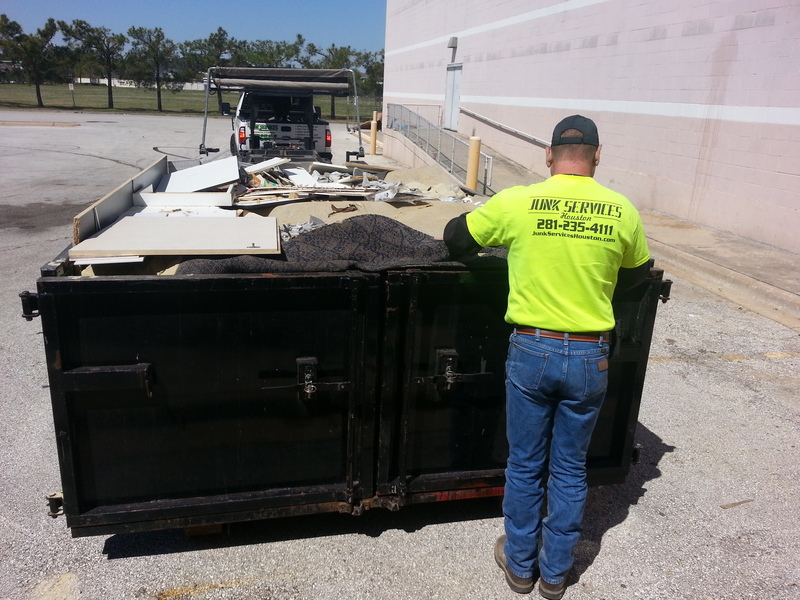 If our junk removal services aren’t exactly what you are looking for, then maybe one of our dumpsters will help you get the job done. Some of our competitors claim that you may encounter hidden fees when normally renting a dumpster. They mention customers having to pay for the dumpster, the weight of the junk that is being hauled away, restrictions on what can go in the dumpster, and gambling on whether the equipment that is going to be displayed in your driveway is junk as well. Well, they must be talking about some other business. Here at Junk Services Houston we charge one flat rate to all our residential and commercial customers renting one of our roll off dumpsters. We pay to empty your rental at the dumpsite and even sift through the junk to find items that we recycle. Just because you see it as trash doesn’t mean everything in there isn’t salvageable, right? There are a few restrictions on what can go in the dumpster, but this mainly just includes concrete, rock, dirt, etc. If you do however have a load of the above items call and speak with a manager today to see if we can help dispose of those materials for you. The dumpsters that we rent out to customers aren’t junk themselves, we have great pride in being able to bring you top of the line equipment and service for a very competitive price. 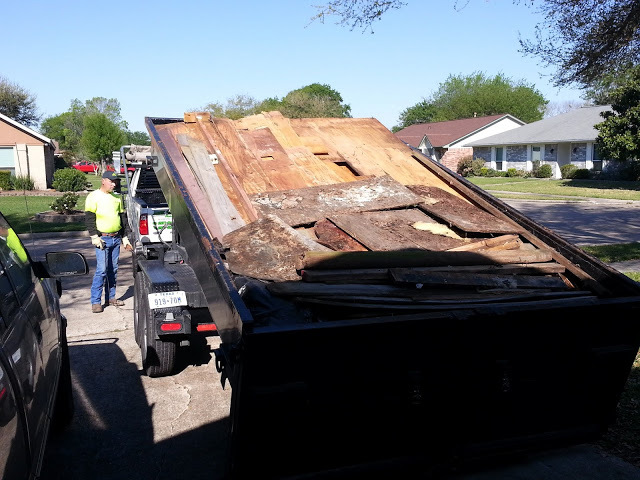 Junk Services Houston promises professionalism and flexibility with our customers. We have serviced numerous customers in the Houston area and believe that the customers experience and opinion of our business is what drives our success, and we will treat you accordingly. Third generation owner of Junk Services Houston. He told me he had an Easter present, asked for my guitar and started singing. We are a family owned business and guarantee professional service. Thank you to Westin, our new marketing advisor. 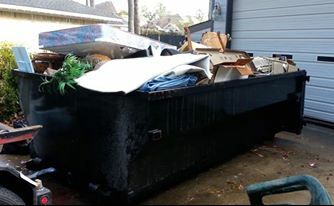 Dumpster picked up from business location in Katy.